regardless of their weight or diet. The term “cellulite” refers to collections of fat that form beneath the skin, causing the surface to appear lumpy or textured. A number of factors, from progesterone and estrogen levels, to water retention and poor circulation, can aggravate cellulite. As common as the condition is, there is also a great deal of misinformation floating around about what causes cellulite, how to prevent it, and how to get rid of it. Before you start spending your hard-earned cash on the various creams, and serums that claim they can rid you of cellulite once and for all, make sure that you know the difference between the facts and the myths. The chances are that when you start the search for anti-cellulite products in your local health stores, you’ll find a number that claim to help you remove toxins and impurities from your body. Although an old theory used to suggest that cellulite was a product of toxins building beneath the skin – this is not true. Neither the efficacy of toxin-removing serums, nor the claims they make about what provokes cellulite have been supported by science. The truth, is that cellulite happens when underlying deposits of fat begin to push their way through the connective tissue and collagen fibers in the skin. More often than not, this takes place in the arms, stomach, thighs, and buttocks. Though we can weaken these tissues with loss of muscle tone, poor circulation, and hormones – toxins have no proven effect. Although it’s true that cellulite is primarily composed of poor circulation and damaged fat, it’s important to remember that cellulite isn’t just another form of fat. One of the reasons why Dr. Elizabeth Dancey suggests that women are more likely to develop cellulite than men, is that their fat cells are surrounded by supporting fibers that aren’t as closely interconnected as the ones men have. An inactive lifestyle can cause those fibers in your body to tighten their hold on fat cells, creating the dimpling effect of cellulite. However – although you should be careful with your weight gain and levels of inactivity, it’s important to remember that it isn’t only overweight people that develop cellulite. This may be one of the most commonly held myths surrounding cellulite. Remember that around 90% of all women have cellulite, and not every single one is going to be overweight. Thin people can develop cellulite too – even supermodels have complained with suffering from the curse of “cottage-cheese” skin. The truth is that many factors determine your chances of developing cellulite, but it’s often a good idea to stay away from fad diets, as yo-yoing your weight up and down can stretch the connective tissue in your skin – making lumps worse. Unfortunately, just as some families are more prone to develop certain conditions or suffer from diseases – cellulite can be hereditary. If your mother and grandmother both had cellulite, then you’re far more likely to experience it yourself. You can even buy genetic tests that are designed to help you figure out whether you’re more likely to develop cellulite – but since 90% of us will, this might be an unnecessary purchase. If you aren’t lucky enough to have a family full of smooth-skinned relatives, remember that genetics is only a small piece of the puzzle when it comes to silky skin, and factors like exercise, and diet also have a role to play. First and foremost, regular exercise cannot cure cellulite or prevent it from developing – but it can be useful in reducing its appearance. Because cellulite often takes place as a result of lost elasticity within the skin or weak connective fibers – strengthening those areas can help to firm and tone your muscles – leading to tighter, smoother looking skin. If you’re wondering where to start your workouts – strength training exercises can be useful for boosting circulation and building muscles, and yoga routines are best for toning up the rear and thighs. As much as we all hate cellulite, there is no scientifically proven treatment available on the market. According to an instructor in dermatology at Harvard, a lasting remedy would need to consider the interplay between underlying muscle, connective tissue, fat, and skin. In simpler terms, curing cellulite would mean changing the structure of your skin. Studies have found that products containing retinol can provide temporary changes in the appearance of skin by creating a thicker cover that camouflages bumps – but this does nothing to rid you of orange-peel skin. Recent research has shown that the appearance of cellulite can be reduced through laser skin treatment, however. Although diet alone cannot provide an accurate idea of whether you will or will not get cellulite, eating well-balanced meals can be useful for reducing inflammation throughout the body, and helping you to maintain a healthy weight. 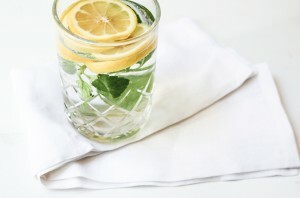 What’s more, dehydration can aggravate cellulite, meaning that drinking plenty of water and eating foods with higher water content can help to keep the connective tissues in your body supple and strong. Stock up on tomatoes, radishes, cucumbers, and plenty of other fruits and vegetables, and you may have a good shot of fighting back against cellulite. Investigating laser skin treatment could be a solution for you as well. Have you found any treatments that you believe have helped to reduce the appearance of your cellulite? Or do you have a particular diet that works for you? Let us know! This entry was posted in Informational, News and tagged Cellulite. Bookmark the permalink. ← The Truth About Fat – Can Eating Fat Make You Healthier?